From dawn to dusk and often extending into late night, the Hindu temples in India observe a very busy schedule with a proper system and process of serving the God through which the people are educated and then, attracted towards the worship of God who is formless, Nirguna- Nirakara. The devotees gradually advance in their understanding of the formless through the forms. The devotee trains himself to enjoy the dance and music, which according to scriptures are the highest forms of offering to Him. 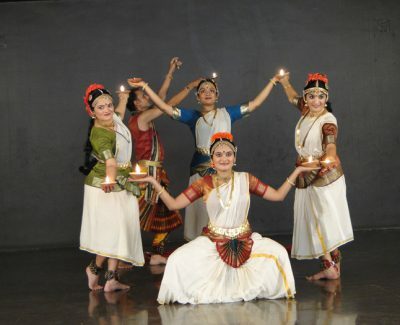 It is this very idea that RASADHWANI attempts to present in a Bharatanatyam dance format. 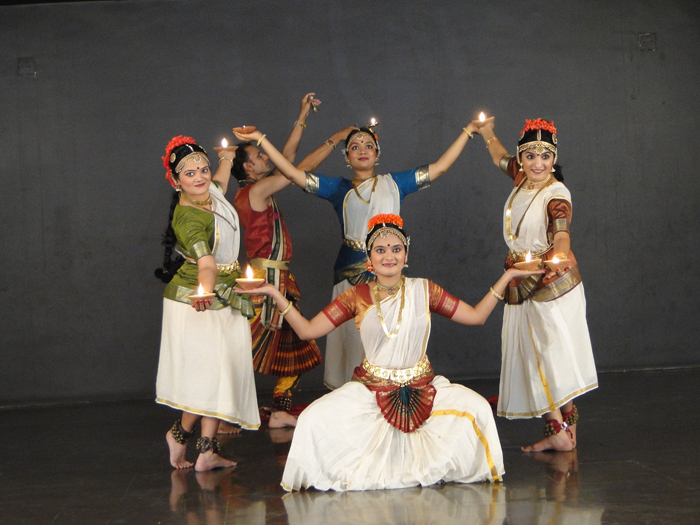 It is based on the hymns from Shodshopachara and the rhythmic syllables to present the cosmic play of Lord Narayana.